In an effort to harness the momentum, FCBD typically ties in with a large movie release. 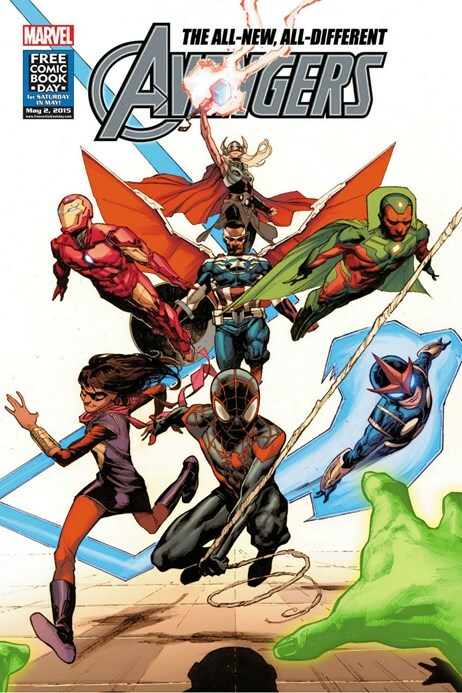 This year, it’s Avengers: Age of Ultron, and Marvel has decided to use FCBD as an opportunity to debut what is arguably the most diverse team of Avengers in history. Along with Sam Wilson (aka Falcon) recently stepping into the role of Captain America, we’ve got the new Thor, Ms. Marvel (a Pakistani-American teenager), a bi-racial Spider-man, Nova (who is Hispanic), and the Vision, leaving only Iron-Man to represent the normally ubiquitous Strong White Male contingency. It’s a refreshing move by Marvel, and there’s surely something here for everyone. 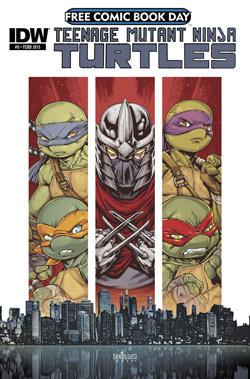 IDW’s 2011 relaunch of the TMNT franchise has been consistently great since its first issue. Given that the series is in its fifth year—which is a lot of reading to catch up on for a new or casual reader—, this FCBD offering aims to quickly get the reader up to speed while setting up the next epic storyline in which the Turtles prepare to face off against Shredder for the last time. Highly recommended reading that will probably make you want to buy and binge-read the previous 45 issues or so. So this is where it all begins…or ends…or…something. 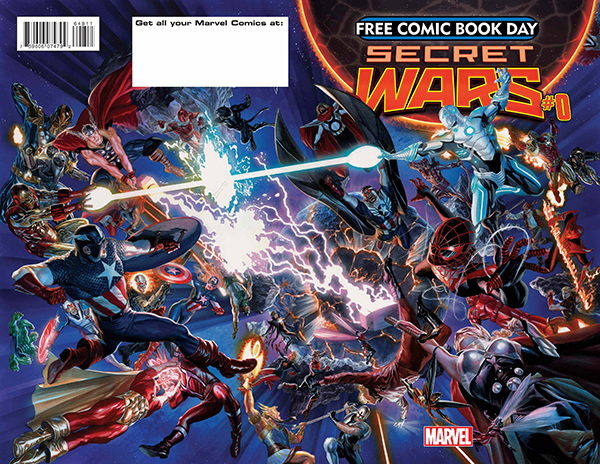 In an effort to reorganize their universe, Marvel is revisiting its 1984 series Secret Wars, an ‘event comic’ that more or less had every superhero fighting every supervillain. While it hasn’t been made entirely clear what’s going to happen in the series itself, what is abundantly clear is Marvel’s goal is to create a new status quo to invite new readers in while keeping things exciting for current readers. Definitely worth grabbing up for the price of “free .99” to see where it goes. To celebrate their 10 year anniversary, Boom! has collected ten stories from various all-ages titles like Mouseguard, Jim Henson’s Labryinth, Regular Show, Lumberjanes, and a preview of S.D. Vidaurri’s upcoming graphic novel Iscariot, which looks incredible. If any publisher takes the term “all-ages” to its literal and inclusive meaning, it’s Boom Studios, and the range of storytelling talent represented in this collection is going to appeal to adults and children alike. If you share one comic with your kids this FCBD, this is the one. Whatever your opinion on DC Comics’ critically panned 2011 “New 52” overhaul, they’re preparing to throw it all out the window and start over again with some really promising new titles. Here, we get some early looks at where they’ll be taking their two biggest titles, Superman and Batman. If nothing else, we’ll at least get a good look at who’s inside the weird Batman mech suit that was publicized last month, so there’s that. There’s probably nothing here that you can’t wait ’til June for, but it should be entertaining to flip through. 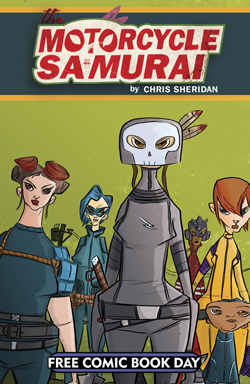 Initially a “digital-only” release on Top Shelf, Chris Sheridan’s Motorcycle Samurai will be coming to print this July, which is awesome news for all of us. To whet the appetite, IDW—who recently acquired Top Shelf—is giving away a FCBD version of Sheridan’s comic about The White Bolt; a motorcycle-riding, apocalyptic wasteland-traversing, katana-wielding Samurai. Often described in articles as “Mad Max meets Kill Bill,” you’ll want to make sure you pick this one up. Since its first publication, Ed Pliskor’s encyclopedic comic book style “who begat who” of Hip-Hop has been a favorite of critics and fans alike, even reaching the New York Times best seller list in 2013. 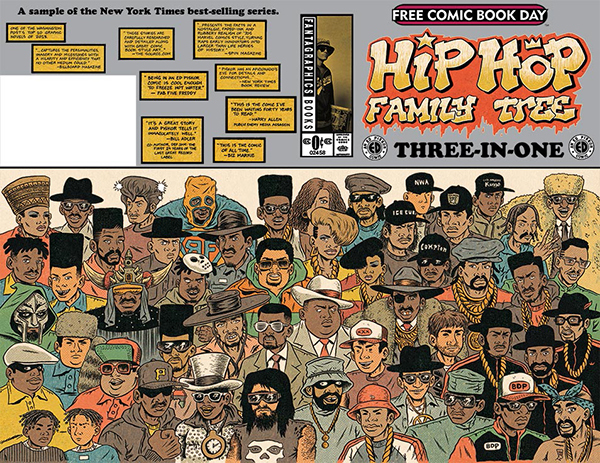 For FCBD, Fantagraphics is giving away a collection of excerpts from the three existing volumes of the series along with his comic adaptation of the ridiculous Spike Lee/Rob Liefeld button-fly jeans commercial from the 90’s. The second half of Fantagraphics’ giveaway features Dash Shaw’s comic Cosplayers! about the lives of two cosplayers that I’m admittedly unfamiliar with, but look forward to checking out for the first time tomorrow. With talent like Chuck Palahniuk and Cameron Stewart, it’s going to be hard to ignore this highly anticipated sequel to the book—not the movie—that put Palahniuk on the map. 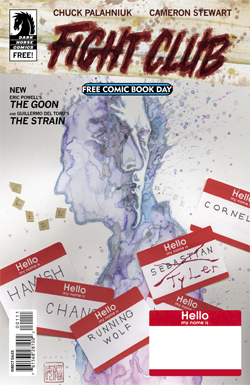 Add to that a new Goon story by Eric Powell and Guillermo Del Toro’s vampire comic, The Strain, and there’s a lot of promising stuff in here. 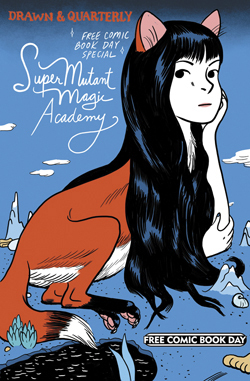 Jillian Tamaki has been self-publishing her webcomic about a school full of super-powered freaks and geeks, SuperMutant Magic Academy, since 2010. 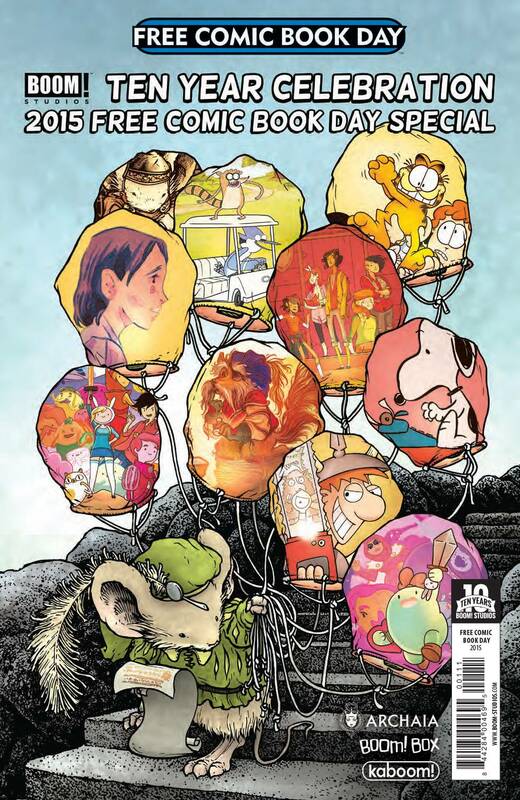 This year, for FCBD, publisher Drawn and Quarterly is offering up a free preview of their upcoming anthology of the series, due out in Spring 2015. I wasn’t familiar with Tamaki’s work prior to this year’s FCBD publicity, but I’ll be damned if I didn’t fall down an internet rabbit hole when I spent a couple hours going through the work on her site. Definitely weird and very funny stuff. 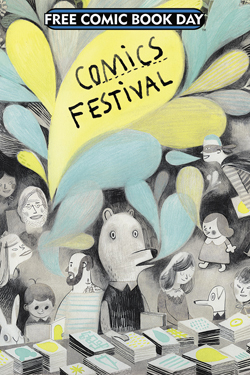 If superhero comics aren’t your thing, this year’s Comics Festival collects short stories from some of the most talented and well received indie comics creators in the game, including talent like Kate Beaton, Faith Erin Hicks, and Zac Gorman. Everything in this one is brand new and this ought to be an entry for the reader looking for more ‘off the beaten path’ comics. So yeah, there’s a LOT to choose from, and this is in no way a comprehensive list. Hopefully it’ll at least point you in the right direction and give you a sense of the what’s out there. To find a participating retailer near you and a complete list of available comics (with previews! 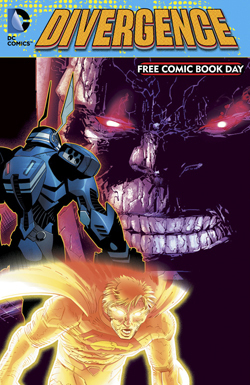 ), visit the official Free Comic Book Day Site. Enjoy!